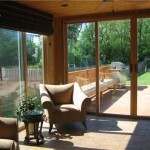 Sunrooms are glass and/or screen enclosures added to a home to create a unique indoor space with an outdoor feel. 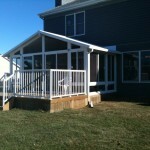 Do you want the gathering spot for family events, sports or holidays? Do you need a new space for relaxing retreat after a long day? Do you wish to add to your home a luxury living space and bring antidepressant of natural light? 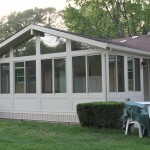 The 240 Sq.Ft. 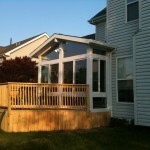 sunroom addition and wood deck gives the opportunity to a casual lifestyle and adds a flexible living space. Almost 300 Sq.Ft. 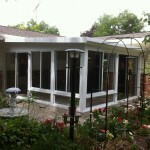 sunroom addition with a new concrete patio creates an indoor-outdoor entertaining center. 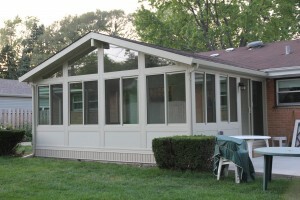 Bring the outdoors into your home with this studio sunroom addition surrounded by the garden. This 260 Sq.FT. 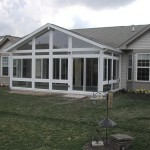 gable sunroom addition offers the most possible light and outdoor experience. 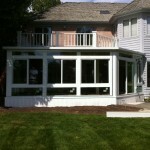 By the simple addition of a Sunroom the house in Northbrook is now glowing with natural light. Sunlight comes through the floor-to-ceiling windows and sliding doors.